BBC & East Anglian Daily Times feature Sky Cam East imagery – in an instant! It has been a good two days for the county of Suffolk. Prime Minister David Cameron visited Felixstowe and announced a £90m investment in Lowestoft’s third crossing. The day after, budget day, the chancellor announced investment in the Ipswich Wet Dock area. This prompted calls from local media keen to get some aerial imagery of the site for their publications that day. 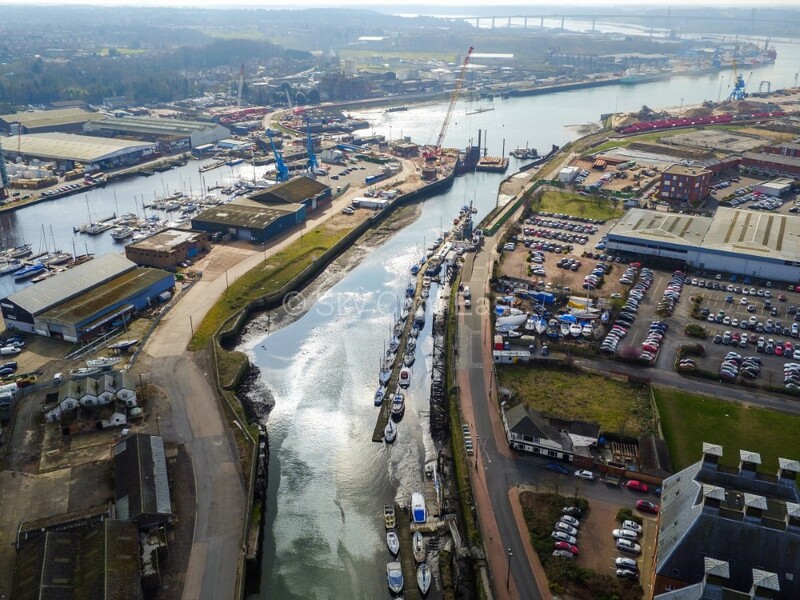 We were able to secure flight permissions from the incredibly helpful Marina Authority within minutes of the first call and we were able to accommodate both the BBC and the East Anglian Daily Times with video and still images of the area. The imagery appeared on their respective websites within minutes and were included in both BBC’s Look East and the regional newspapers. Further evidence that Sky Cam East is able to respond quickly to breaking news and provide high quality imagery to news organisations with incredible efficiency. To find out more about what aerial photography can do for your business contact us here.